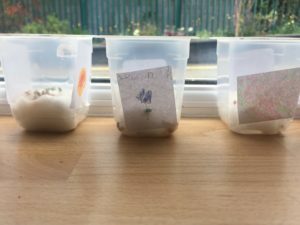 Our current Aistear topic is ‘The Garden Centre’. 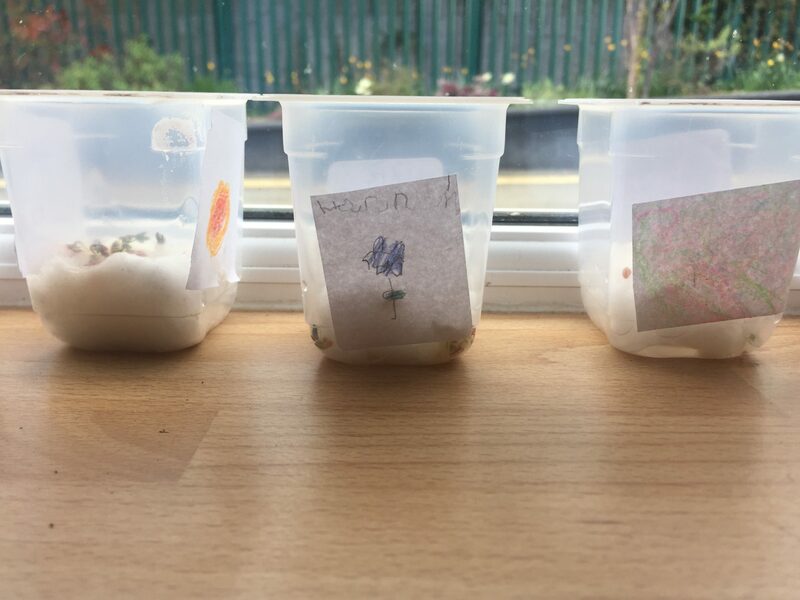 Ms. Seale has been teaching us all about plants and we’ve been learning that a plant needs sun, soil and water in order to grow. 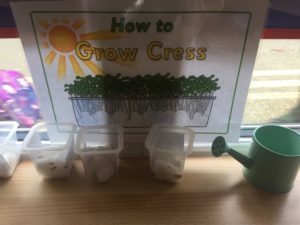 Ms. Seale then showed us how to plant our own cress seeds. 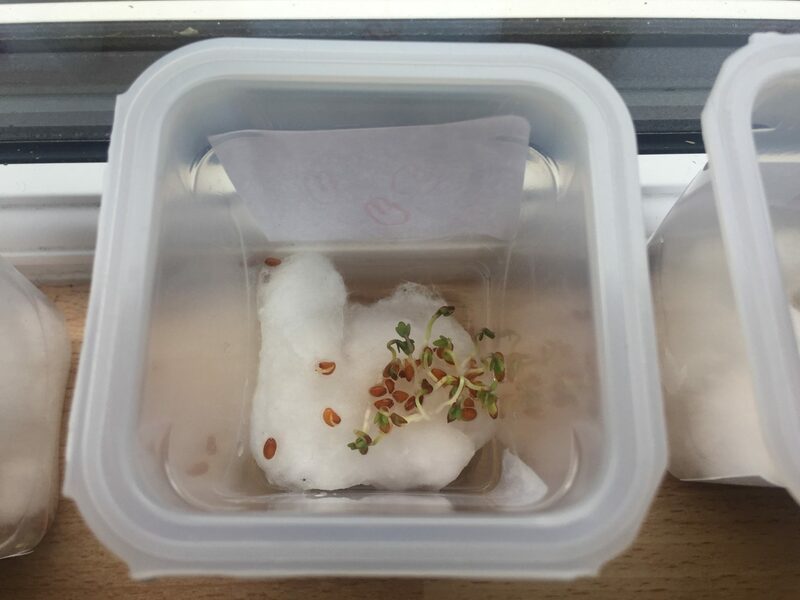 We planted them on cotton wool (instead of soil) and have to remember to water them every day. We also have them sitting in the window so they get lots of sunshine! We can see them growing already – have a look below! Next story iPad Learning in Junior Infants!